Our Certified Scrum Master (CSM) experience combines six entertaining online preparation modules with learning by doing in the classroom. The classroom activities are guided by Michael James, author of the Example ScrumMaster’s Checklist (referenced in books by at least three other Scrum trainers) and the 6-page illustrated Scrum Reference Card. 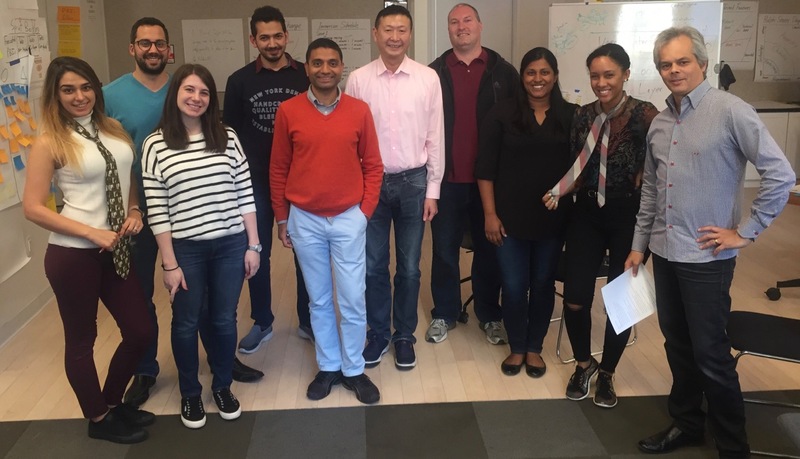 During class, CSM participants explore Agility while divided into self organizing Scrum teams of 4-7 people each, experiencing learning situations beyond the ScrumAlliance’s certification requirements. How Agile development differs from traditional project management. Three Scrum roles, responsibilities, boundaries, in depth. How to write well formed Product Backlog Items such as user stories. Techniques for splitting large requirements (e.g. epics) into small specific ones. Five Scrum meetings (how to, how not to). Sprint execution for self organizing teams. Definition of done and the potentially-shippable product increment. Environments that encourage or impede team self organization. Small group dynamics (the psychology of innovative teams). Modern Agile engineering practices including test-driven development (TDD). Lean principles derived from the Toyota Production System. Product Owner planning and forecasting beyond one Sprint. Case studies of Scrum in large organizations. Case studies of Scrum for large scale development. Case studies of common organizational impediments. Case studies of successful and unsuccessful attempts to introduce Scrum/Agile to organizations. Detailed Q&A and some advanced topics are handled after class. Consider allowing for the afterparty in your schedule! The class contains individual and group knowledge tests that precede the ScrumAlliance’s online test. 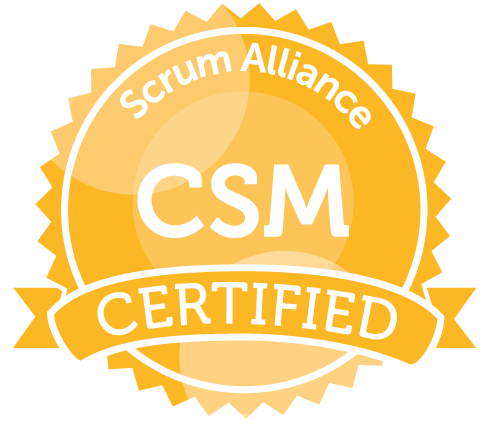 Qualification for Scrum Master Certification (full participation + passing my exam + the Scrum Alliance’s exam are required for certification). Payment of your first two year dues for the Scrum Alliance. Regardless of whether you have prior exposure to Scrum, the free online preparation work must be completed before the classroom days. Absorbing the vocabulary and basics of Scrum before the classroom activities helps ensure the best team learning experience for all participants. Your understanding of the preparation work will be measured during the class. Please contact MJ for assistance if you have difficulty answering the embedded quizzes. I wish to express my thanks for your online scrum training videos. They succeed in introducing the concepts of scrum, without being too complicated for a beginner to understand. I watched the Intro to Scrum video and it just made pure sense. I took the test as well and loved it, everything sank in first time around. This series is FANTASTIC! It was entertaining, engaging and informative. I’m very new to SCRUM and this material was presented in a very logical, easy to understand manner. It’s such a logical framework and approach! In fact, I sent the link to all the PMs in my company (we’re implementing this approach to SDLC). The Advanced CSM class is a 2-day experience for Scrum Masters and Agile Practitioners who wish to take their Agile and Scrum Training to the next level. A full list and extensive break down of the Learning Objectives is available here. This class is offered in partnership with Angela Johnson and the Collaborative Leadership Team. 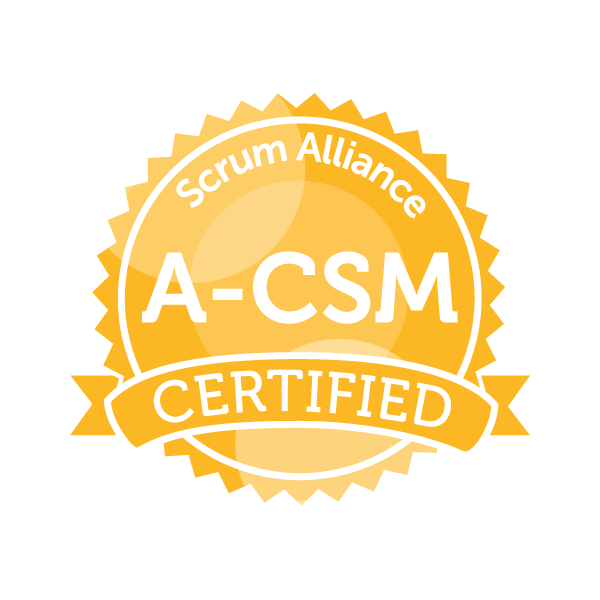 Angela is one of the first 10 Certified Scrum Trainers globally to be able to offer this class. Large-Scale Scrum (LeSS) is a framework for scaling agile development to multiple teams while descaling organizational complexity. 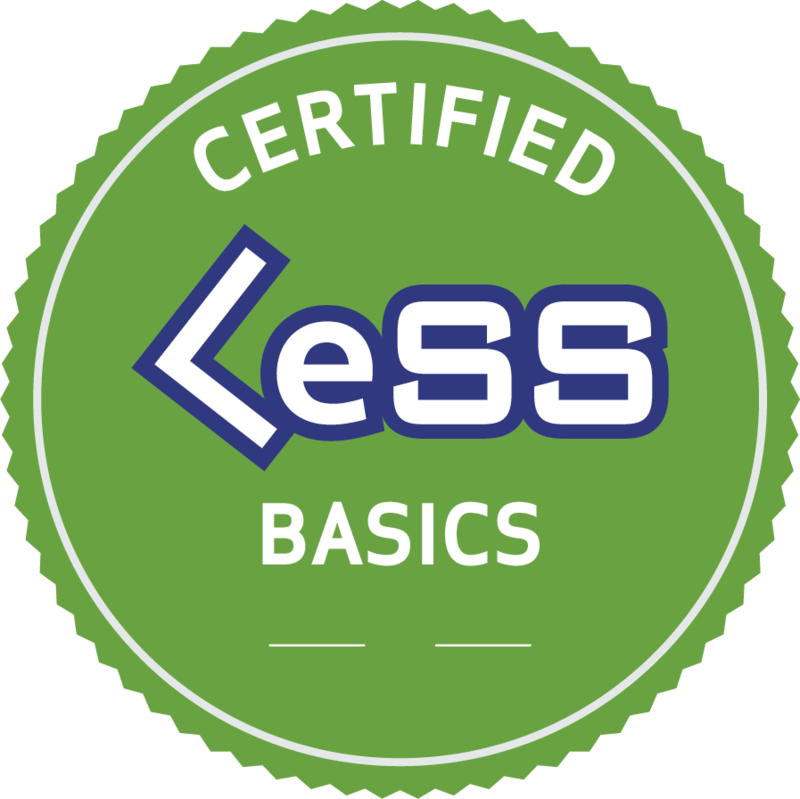 Certified LeSS Basics (CLB) is additional content typically integrated into a 3-day CSM class. Large-Scale Scrum (LeSS) is a framework for scaling agile development to multiple teams while descaling organizational complexity. LeSS builds on top of the Scrum principles such as empiricism, cross-functional self-managing teams and provides a framework for applying that at scale. It provides simple structural rules and guidelines on how to adopt Scrum in large product development. Learn with Craig Larman—the co-creator of LeSS—in this 3-day highly-participative course. Participants (senior managers, product developers, etc.) explore a deep understanding of LeSS, Large-Scale Scrum, for lean & agile development with many teams working together on one product. We explore adoption, new organizational design, systems thinking & optimization, the role of management, and concretely how to work together in a Sprint at scale in terms of coordination, architecture, planning, and more. Course runs until 18:00 on all days, including Day 3. Full attendance and participation is required for certification. We explore the Big Idea of more with LeSS: simplifying and descaling over “scaling,” scaling product development by descaling the organization. This course runs mostly at giant whiteboards as a series of deep-thinking exercises involving systems modeling in small teams to explore why, so that people can own the ideas by discovering them for themselves, rather than merely renting the ideas. A focus on why and owning not renting are important elements of LeSS and how it’s learned. Craig emphasizes this in the course learning experience. 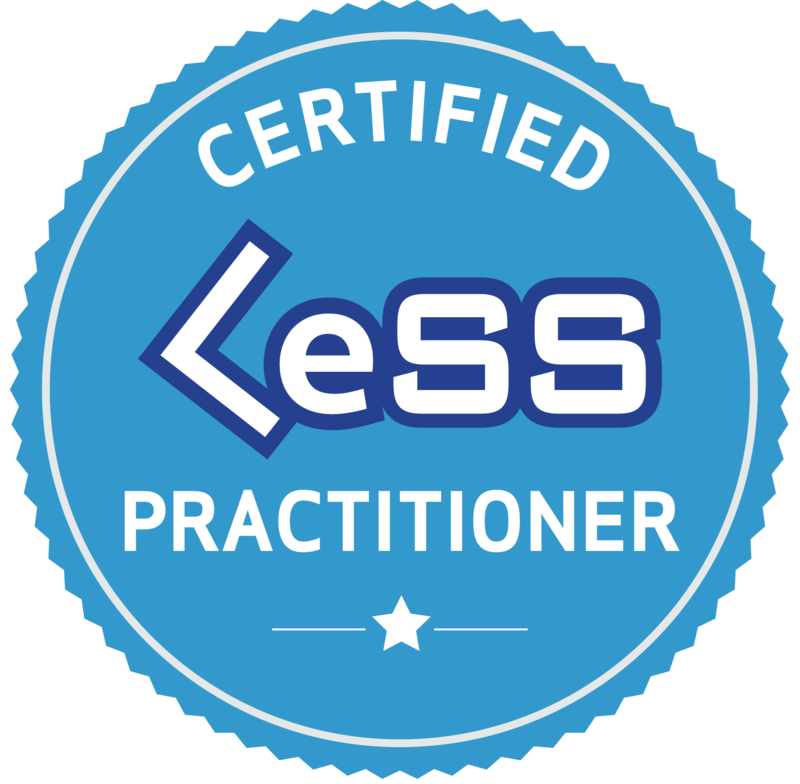 Every participant who completes the course will be registered as a Certified LeSS Practitioner on http://less.works. Here they can find additional information about LeSS, share course information and stay in contact with the other course participants. As “Agile” has taken off as a buzzword, it’s brought us a multi-billion dollar industry of fake agile, hybrids, and quick fixes that just make things worse. Even before Agile was a thing, Craig Larman has been the quiet voice of reason in a world of hyperbolic claims. He works “C to C” – helping people from the embedded C developer all the way down to the CEO. After ten years of trying to help people do Scrum, it’s become obvious that most of the problems that stop them are built into the organizational design, the structures, policies, and management habits beyond just the team level. Craig and Bas’s work in LeSS debunks the hype and focuses on those difficult problems.